If your only exposure to Skype is Oprah’s long-distance interviews and “Where the Skype Are You?” segments, then you may not realize the extent of Skype features available to noobies and techies alike. Skype combines video conferencing (like you see on Oprah) with voice-over-internet protocol (VoIP) and an instant message chat program. Combine all three and you’ve got a multimedia-rich conversation. Use VoIP by itself to make more “traditional” telephone calls or use the instant messaging platform as a useful, less intrusive way to access friends, families and colleagues. 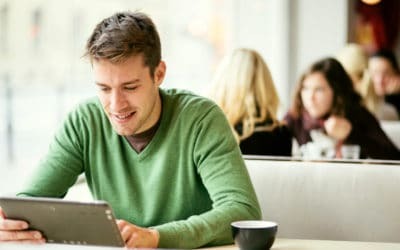 Skype services are either free or extremely affordable, and they are full of flexibility, making them a great choice for families and small businesses. Accessing and using Skype is relatively simple, but there are a few things you should know before you start your download. Different versions of Skype are available depending on what operating system you will be using. Available options include Mac OS X, Linux and several versions of Windows. You also can download Skype for compatible Symbian and Nokia mobile phones as well as the iPhone and Sony Play Station Portable (PSP). Anyone can download Skype and use the text chatting or SMS features, but for voice calls you’ll need a microphone and for video calls you’ll need a web camera. Many laptops already have these built in, and Skype should automatically detect them for you. If you don’t have everything you need, you can buy an integrated web camera and microphone for about $30-$100. 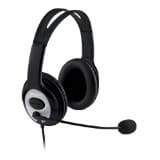 For more privacy and less audio feedback, consider buying a headset with an attached microphone. These range from $10-$100, but will greatly improve sound quality. VoIP handsets ($30-$200) are a great choice for audio transmissions. They look and work like regular landline phones, in fact some of the work with a landline as well as VoIP. Want to set up Skype for a grandparent or someone else who doesn’t have a computer (or at least one from the last decade)? Get them an all-in-one videophone. It has a built-in webcam, speaker and screen for simple, easy voice and video calls. With your hardware in place, next you’ll need Skype software. Visit www.skype.com where you’ll find easy-to-follow directions for downloading and installing Skype on whatever operating system you are using. It shouldn’t take you more than a few minutes to get up and running with the intuitive Skype software. Skype should automatically detect your connected hardware, but if it doesn’t rebooting your computer will usually solve the problem. Skype will walk you through adding contacts to your Skype account, and with your permission, it can import contacts you’ve already set up in GMail, Facebook, Microsoft Outlook, Macintosh Mail and other applications. Look through your contact to see who already has a Skype account, and start communicating right away. 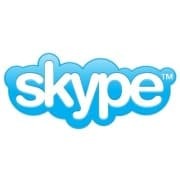 It’s free to make audio and video calls to other Skype users (Skype-to-Skype) or to use the instant messaging feature. Other free features include transferring incoming calls to Skype contacts and accessing conference calling features. To access more advanced features, you will need to deposit money into a Skype Credit account. Purchases start at a minimum of $10, and if you don’t make at least one call in 180 days, your Skype Credit will expire. If your Skype Credit is running low, you can set up and auto-recharge for the same amount previously purchased and using the same payment method previously chosen. After you’ve used Skype a few times and discovered how it can help you stay in touch with family and business contacts, you might decide to switch to an affordable subscription plan. From your home country, you can choose an unlimited plan that covers all calls to landlines and cell phones. In the U.S. and Canada that plan is $2.95 a month. Skype really shines when it comes to international calling. If you frequently call people with landline phones in one particular country, then select an Unlimited Country plan for $5.95 a month. Before you go this route, remember that it is still free to call Skype-to-Skype, even internationally, so it might be even less expensive to get your far-away friends and family to set up their own Skype account rather than calling their landline phones. For those who conduct international business or need to plan travel abroad, the Unlimited World plan may be a better choice. For $12.95 a month you can call landline phones in more than 40 countries. And when you travel to those countries, calls back to your home country are covered too. Call landline and mobile phones at great rates. Get an online number so anyone can reach you on Skype using any phone. Save on international calls from any landline or mobile phone using a Skype To Go number. Set up an online voicemail box with optional notifications and transcription. Send text messages (SMS) directly from your Skype account. Forward incoming Skype calls to your landline and mobile phones. Let others know you’re calling by showing them your customized caller identification. Share computer screen views on Skype-to-Skype video calls. Access people who are experts in their fields using the Prime Directory. Participate in groups conversations using instant messaging or voice. Before you decide that Skype sounds good enough to replace your landline phone, keep in mind that you cannot use Skype to call for emergency help. Oprah’s shameless promotion of Skype has made headlines and heads turn, but I highly doubt she has personally discovered all the features and benefits that you can now start exploring.